Mesa, Arizona is in Maricopa County and lies east of Phoenix. The historic town covers an area of approximately 132 square miles, making it the third largest city in Arizona. The U.S. Army made a way for white settlement when they fought Apaches in the late 1800s. Explorers came through the Salt River Valley and soon people were settling in the Mesa area. Mesa has many things to do in regard to recreation, education, and business. There are a variety of parks within walking distance of homes for activities with family and friends. There is a top-rated golf course for golf lovers, designed to meet every skill level. There are many different community festivals and special events held throughout the town for residents to take advantage of. Sports facilities make it easy for both young and older athletes to get some exercise. Mesa is also host to two major league baseball training camps. The Superstition Mountains, the Apache Trail, Usery Mountain Regional Park and area lakes assure outdoor lovers that they will find plenty of things to keep them active. Families will enjoy kid-friendly museums, and dinosaurs are heard roaring at the Arizona Museum of Natural History. The Rockin’ R Ranch is an opportunity to step back in time, and the i.d.e.a Museum is a great place to put your young person’s creativity to work. Real estate options in Mesa include some ranch-style stucco homes as well as some Tuscan luxury homes. Many of the single-family homes have three to five bedrooms, good sized yards, and well-kept streets. This thriving community is a delightful mix of history and modern conveniences. The many amenities make it a great place to live, and the kid-friendly places make it a good choice for families. When you take into consideration the many things to do and see in this community, combined with the natural beauty, and the proximity to Phoenix for additional outing opportunities, this is a must-consider destination for home buyers searching in the Phoenix area. If you would like more information on homes for sale in the Mesa, Arizona area, please contact us today and allow us to assist you. 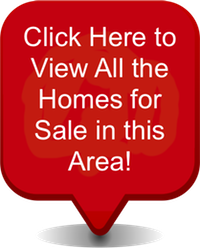 Access all Mesa, Arizona homes for sale and real estate here. Properties in Mesa are updated daily from the MLS, so be sure to return here for the newest listings for sale in Mesa, Arizona. Elementary: Franklin West Elementary School, Eisenhower Center For Innovation, Mesa Distance Learning Program, Franklin Elementary School, Franklin At Alma Elementary School.